For the last four years, Abu Productive has consistently reminded us of a very important task to be done before Ramadan – your Eid shopping! 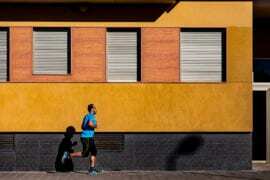 Ramadan has already began, but it’s still not too late. Don’t leave the task for the nights before Eid. Get shopping done now and this way you will get to concentrate on your ibadah during the last few nights of Ramadan – stress free! If you still have a bit of shopping to do, I have compiled a list of six best Eid gift ideas for children up to 8 years old. 6. 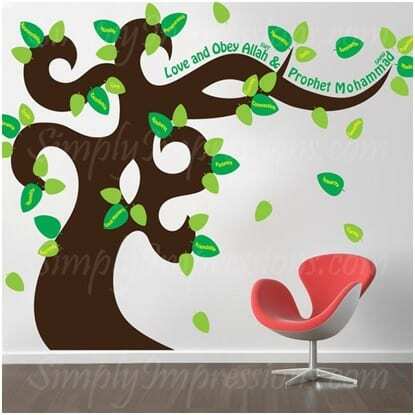 Kids’ room decor: On the day of Eid, wake them up to see their room decorated with beautiful Islamic calligraphy and words of wisdom, like this Good Manners Tree from Simply Impressions or other beautiful calligraphy decals at Irada Arts. Let it be a constant reminder of their purpose on earth. 5. Kids of the Ummah: To appreciate and love the diversity of the Muslim Ummah, introduce them to the book titled Kids of the Ummah. Beautifully illustrated by Peter Gould – an award-winning graphic designer – the book features Muslim characters in 26 diverse cities around the world. Accompanying the book is an iTunes app. Together they promote learning about cultures of Islamic community in a fun way! 4. 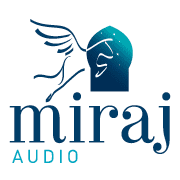 Miraj Audio – Islamic history/culture audio books: This is a resource of audiobooks for children with stories about Islam, its history and culture. Building on the great oral tradition of Islam, Miraj Audio uses the power of storytelling to help children experience the beauty of Islam and engage with its values and tradition. Get their free audio book and try it yourself! 3. Wonder Box subscription: The best gift you can ever give is the gift of experience. You can give them a toy, or give them the supplies to make a toy. The latter is much more rewarding, educational and fun! Kiwi Crate is one such service. A yearly subscription ensures that your little munchkin gets a box of wonderful craft supplies and inspiration for projects that go along with it every month at their doorstep. (Now who wouldn’t love that?! :)) You can buy a one-time box or choose the length of subscription (3, 6 or 12 months). 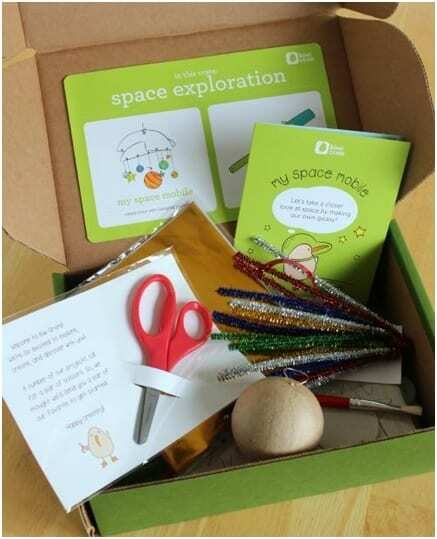 Another similar subscription box service is Give a Box of Fun: Five Subscription Kits for Kids. How about a FairTrade and hand made puzzle of a 3D mosque? Are you intrigued yet? You can find such a puzzle at Eastern ToyBox. Another puzzle you can find here is the 5 Pillars of Islam Wooden Puzzle which teaches your child about the 5 pillars of Islam: shahadah, prayer, fasting, zakah and hajj! The 3D Prophets Tree Puzzle is hand-painted with watercolours and lists the 25 prophets mentioned in the Qur’an using English on one side and Arabic on the other. 1. And the winner is… Noor Kids books! Noor Kids is a Harvard-sponsored children’s activity book series that seeks to build confidence in the religious identity of 4-8 year olds. 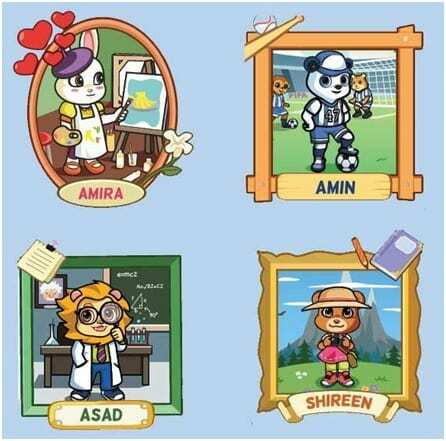 In the challenging environment for Muslims in North America, Noor Kids instills Islamic education, Muslim culture, and American integration through its four positive and playful characters — Amin, Shireen, Asad, and Amira. 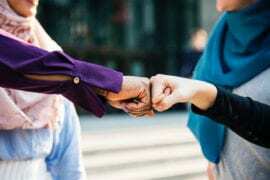 The group has lofty goals, hoping to be the ‘Dora the Explorer’ for the Muslim community. There you have it – six of my favourite gift ideas. Now it’s your turn: what is the best Eid gift you have given or received? Leave a comment below and share! Crafting for over 5 years now, Hafsa Taher has a blog to share her passion with others. The blog has now grown into an Etsy store, where you can find her recent handmade cards, and her most recent product and first ever, Eid card making kits for kids.